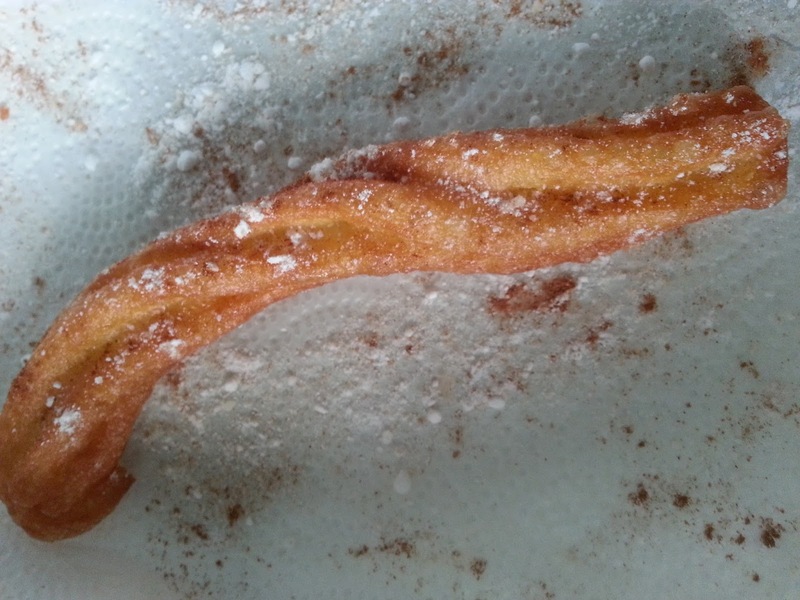 This is the last of the churros that I made. I had to stop the kids from eating in order to snap this pic. This I made before Ramadan. I just want to share that churros are actually pretty easy to make and they are supposed to be dipped in hot chocolate sauce but I was not that adventurous and so I didn't make the sauce. You can get the recipe here. Remember to fry the churros for about 4 minutes. My first few churros shrank the moment they came out of the pan even though they were gorgeous in the pan. 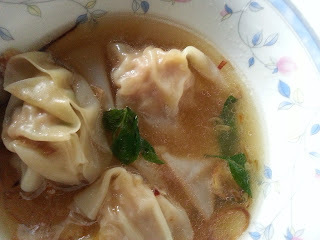 So I reduced the heat and cooked them longer and they retained their shape. 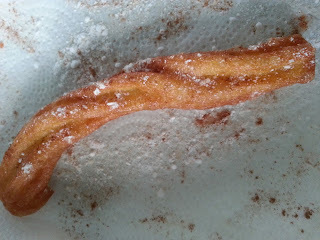 I also sprinkled cinnamon onto the churros (see the brown specks). Yum. Maybe will make churros again but this time will try the recipe from this website which uses vege oil instead of butter.